Gyukaku is located inside Galaxy Mall, right next to Shaburi. Turns out, the owner of both are the same person. We encountered a massive queue before we finally got our seat there, I think we had to wait for around 30 minutes, and it was already pass dinner time! It was a very positive crowd and we were very excited when it finally our turn to be served. 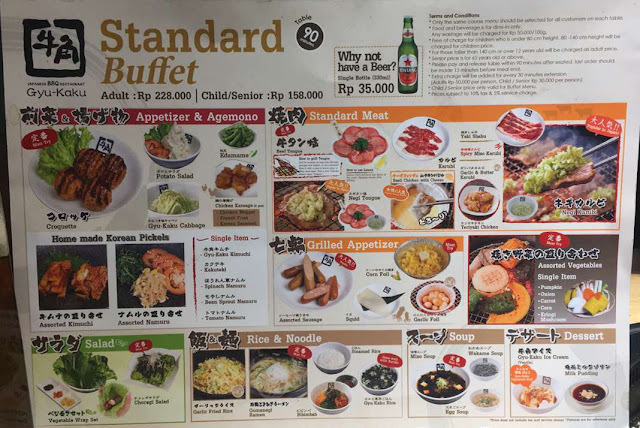 We sat down, looked at the menu, there were three of them : the first one was for the Standard Buffet, the second one was for the Premium Buffet, and the third one was for the a la carte menu. We already knew what package we were going to get, because we have discussed it before, and yup! It's the premium one! Price wise, it's on the expensive side, especially if you order the premium buffet, for one person, it's around 450k (with tax)! 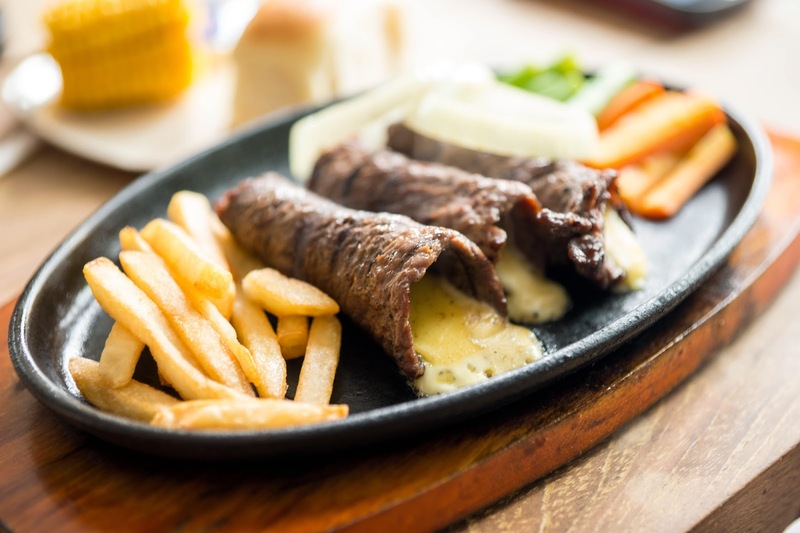 The thing is, there are a big differences if you're getting the premium buffet, the choices of the beef has a lot more variant, whereas the standard buffet, you can only have one choice of meat and it also applies to the side dish menu as well. What you just saw was only our appetizer, and actually, I didn't captured everything. There were still more of them, and we didn't only ordered one portion, some of them we ordered two portions! So yes, it was a bizarre dinner! 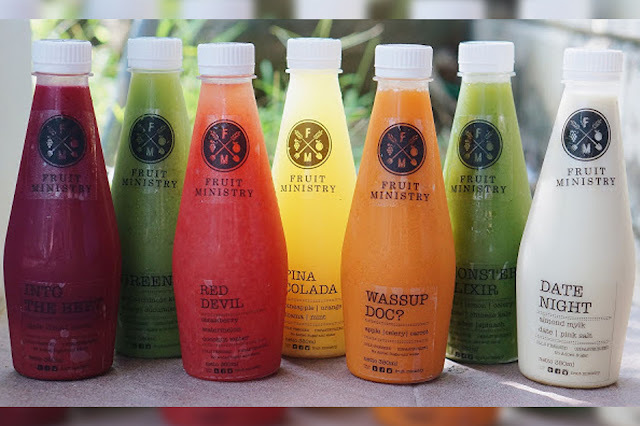 hahah.. To be honest, I admit that we ordered exceeding to our capacity, probably because we were too excited to try, we also didn't want to take '450k/person' for granted, and we were also afraid that if we didn't order in bulk at front, we wouldn't get the chance to re-order it later. LOL. Okay now for the meat party. I'm pretty sure we ordered ALL of them, in a very big amount. HAHAHA.. I remember the waiter came up to us and suggested us to decrease the amount of our order, but we knew it was just their tactics to make us get lesser than what we deserved. So NO! We paid so much for it and we wanted all of our order to be proceed right now! Haha.. Kidding. But yes, we argued for quite some time and he said he would see the condition "back there". And then he came to us again and said that we had to decrease a little bit of our order, because he was afraid that the table wouldn't have the space for all of it So, okay.. We let him win that time. hahaha.. But seriously, we ordered too much, hahahhahaa..
We almost failed at finishing our order, and we were so fucked up, we ate too much, hahaha. But we ended up finishing it all, pretty much disgracefully, LOL. I swear I didn't want to eat that much of meat for the next couple of months, haha. One of my friend said he got headache because of too much meat, LOL. It was a very fun dining experience at Gyukaku, really, I had too much 'fun'. We also still got to order one dessert, just because we need something to neutralized our tongue from the amount of meat that we put in our mouth, hahaha.. But I didn't take a picture of it, I was already in a food coma for sure, lol. Our first order, we ended up having more, but I didn't take a picture of the second bill, hahah..
1. Make sure your 'team' wants the same thing, because in one table, there can't be one person ordering premium buffet and one person ordering standard buffet, you both have to order the same buffet. 2. If you're going to order the premium one, save your tummy and skip anything that's non-beef. 4. If the house if packed, I suggest you to order everything in front, because I'm pretty sure if you don't, your next order will take too much time to wait, and you'll end up running out of time. PS : If you order so many things in front, trust me, the waiter will suggest you to split your order into two. If you know that you can finish it all, don't take their suggestion, just insist that you will finish everything, argue with them if you have to. 5. But also remember, that if you don't finish your order, you'll get charged. So don't over order as well. It was great, but gosh it was so expensive. 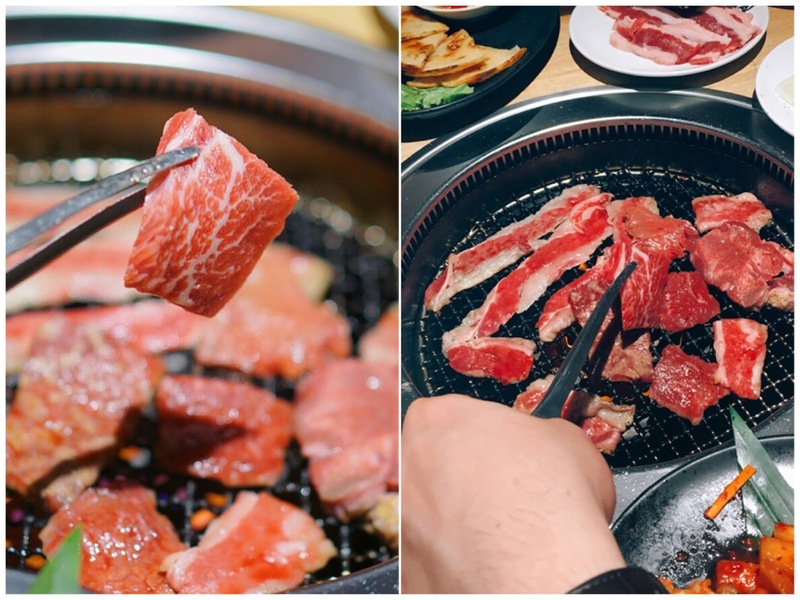 The last time eating all-you-can-eat Yakiniku was when I went to Japan, exactly in Osaka. I only spent 1.080 yen or 135.000 rupiah or $10 and I got to eat as much as I wanted and it tasted really really really really good!! Damn Japan, I missed you so much :( But I still recommend Gyukaku to you guys, if you have more cash to spend on a fancy meat for your beloved tummy, go ahead, and let me know what you think about it on the comment section below. 400-500 buat satu orang ya? lbh rekomendasi hanamasa apa gyukaku? Mau liburan ke yogyakarta banyak pilihan Paket Wisata Jogja Murah. 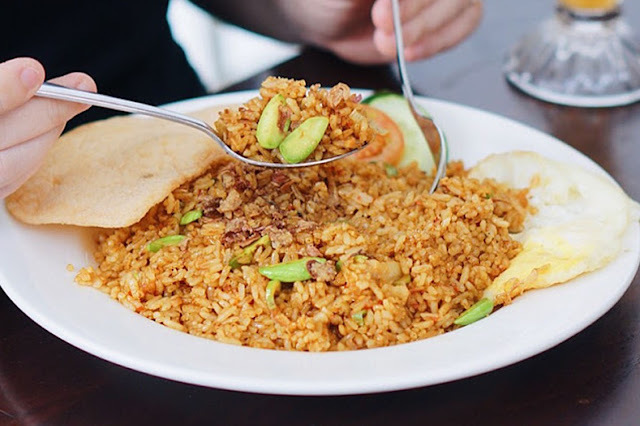 Pilihan lengkap untuk liburan dengan Paket Wisata Jogja Murah. Promo spesial Paket Wisata Jogja Murah. Mulai dari Paket Wisata Jogja Murah Adventure, Paket Wisata Jogja Murah wisata alam, Paket Wisata Jogja Murah sejarah dan budaya, dan masih banyak lainnya.